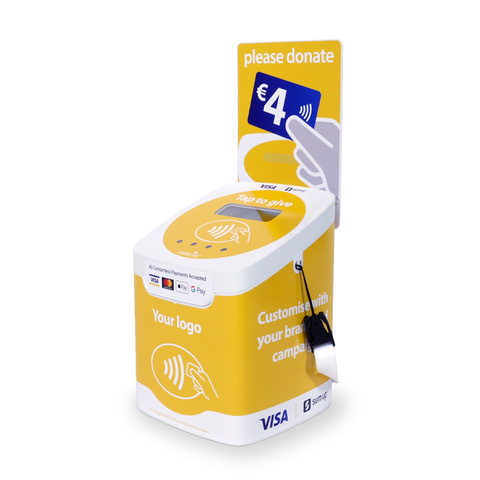 Unique charity collection boxes for the acceptance of Contactless Credit Card Donations. 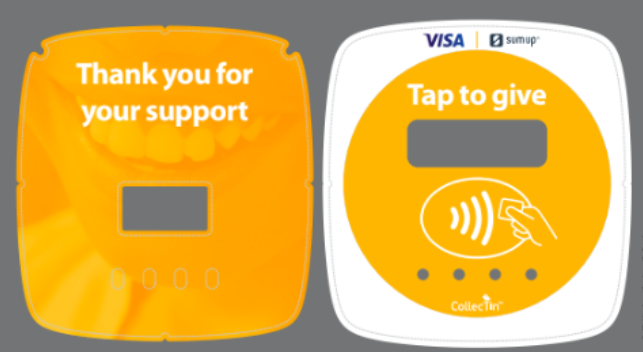 The CollecTin® + SumUp is a unique and customisable charity collection box that facilitates contactless card payments and provides users with a hassle-free experience while donating to charitable causes. 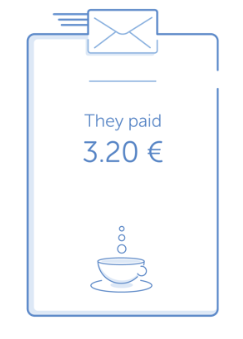 Using the CollecTin® + SumUp, your customers have the ability to tap and go in seconds using debit card, credit card, Apple Pay and Android Pay. Payments will be received into the designated bank account with 2-3 working days. The CollecTin® + SumUp can be provided with custom wrapping. 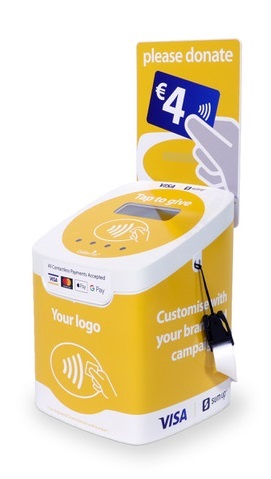 Custom wrapping allows you to submit your charity logo, details, colour schemes and other information to help make your chosen charity more easily identifiable to your customer base. The CollecTin® + SumUp is available to rent or purchase at a minimal cost. We can provide on-site or remote support and training for you, your volunteers, and your employees. 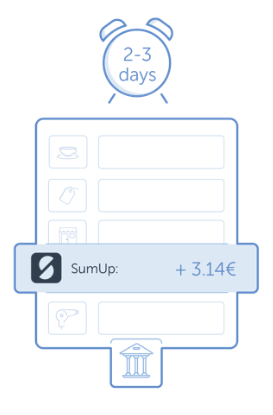 For more information regarding the CollecTin® + SumUp, please contact us using the button below. We distribute the CollecTin® under licence from Sprout Products Ltd. CollecTin® is a trademark of Sprout Products Ltd.